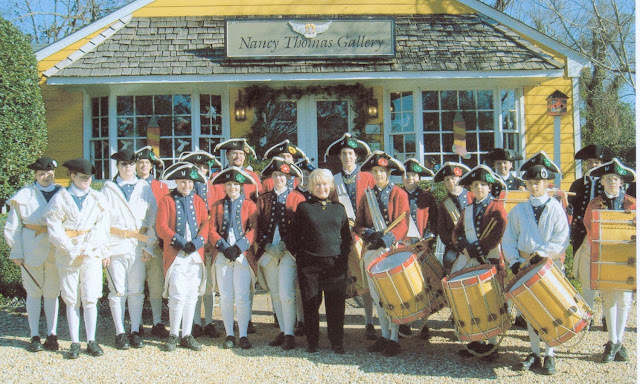 NANCY THOMAS GALLERY ONLINE: NANCY IS RETIRING! After 50 years in beautiful historic Yorktown, Virginia, Nancy will be closing the gallery. Wednesdays though Saturdays until May 20th, the gallery is having it's FINAL CLEARANCE SALE...and it's big! We're cleaning out closets, drawers, attics. Every nook and cranny will be cleared and items up for grabs, at MOVING SALE PRICES! Nancy's art will be 30% off or as marked. This sale is offered in the GALLERY only and all sales will be final.